The 2018 National Cai Luong Festival will take place in the Mekong Delta province of Long An on September 5. This year’s event will present to devotees 32 cai luong plays which will be performed by 25 theaters and art troupes, including Vietnam Cai Luong Theater, Dong Nai Traditional Art Theater, Hanoi Cai Luong Theater, Tay Do Theater, Dong Thap province’s art troupe, the art troupe of Military Zone 9, Long An province’s art troupe, the People’s Cai Luong group of Kien Giang province, Cao Van Lau Theater and others. 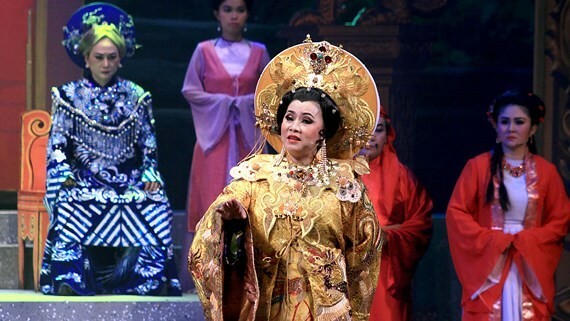 Performances will take place at the theater of Long An province’s art troupe, and in HCM City’s theaters of Hoa Binh, Tran Huu Trang Theater and Cong Nhan. The festival aims to keep the tradition of Cai Luong alive in the community and foster a love of this particular kind of music amongst the people. The award ceremony will be organized on September 19 and broadcast live on channels of Long An TV, Vietnam TV and HCM City TV.